Becoming a CPA in Mississippi requires not only passing the Uniform CPA Exam, but going through at least one year of practical accounting experience prior to licensure. It also requires evidence of possessing good moral character. Educational institutions and classes must be recognized by the Mississippi State Board of Public Accountancy (MSBPA). Mississippi has a residency requirement for potential CPAs. The person must either live in the state or have a place of business in Mississippi in order to take the Uniform CPA Exam and receive a license as a Mississippi CPA. Your college or university should send your transcript directly to the MSBPA, at 5 Old River Place, Suite 104, Jackson, MS 39202-3449. You must also send all application fees to this address. Once you have sent in all the necessary documentation and fees, you should receive a Notice to Schedule (NTS) from the National Association of State Boards of Accountancy (NASBA). The NTS arrives via the way you indicated, either by email, fax or regular mail. Visit the Prometric website to schedule your test or call the Candidate Services Call Center toll-free at 800-580-9648. Appear at the test site one hour before your scheduled exam time. Your test scores will arrive in the mail. Once you have passed the Uniform CPA Exam and have the necessary experience under your belt, you may apply for licensure as a Mississippi CPA. You have three years from the initial passing of the CPA exam until applying for licensure. Begin by filling out the Application for CPA License. The application requires notarization. Along with the application, include in your packet all necessary fees, a 2” x 2” photo of yourself, your proof of residency and all your previous accounting employment. You must fill out and include a Request for Employment Verification for each of your supervisors. The completed package is mailed to the MSBPA. 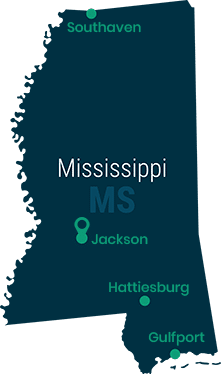 If you are licensed in another state with qualifications equivalent to those in Mississippi, it is possible to receive a reciprocal CPA license if you have spent four out of last 10 years practicing public accounting as a licensed CPA. Currently, the certifications and licenses of all U.S. states and territories with the exception of the Virgin Islands is considered equivalent to Mississippi. Complete the Application for Reciprocal CPA License and send it the board of the state in which your license is held. The application is returned to you once the state licensing board fills out the appropriate sections, and you must then have the document notarized in Mississippi. You must also fill out the Request for Employment Verification for every previous supervisor over the past decade and send them with the application. Complete the Authorization for Interstate Exchange of Examination and Licensure Information to the Board in the state in which you hold your CPA license or where you passed the Uniform CPA Exam. Send the completed paperwork and applicable fees to the MSBPA. CPAs licensed in Mississippi must complete 40 hours of continuing professional education (CPE) annually. Newly licensed CPAs are exempt from the requirement for the first year after receiving their license. CPAs may carry over up to 20 CPE hours from one year to the next. Of those 40 CPE hours, at least eight (20 percent) must involve accounting and auditing. Four of the hours must be in Ethics, Professional Conduct and Public Accountancy Laws and Regulations. Report your annual hours on the Continuing Professional Education Reporting Form, even if your hours did not reach the required minimum. In fact, you must report CPE hours even if the annual total is zero. For CPAs who are also licensed and practicing attorneys, continuing legal education counts toward CPE credit. Please note that personal development programs and independent study that requires only reading do not qualify as approved CPE formats. Keep a record of your CPE hours for at least five years. The information should include the location of the course and the organization sponsoring it, along with the attendance dates, name of instructors and their qualifications, the number of hours per category, the title and description of the courses and the number of CPE hours you’ve claimed. Those CPAs who are at least 55 years old may file for a retired status at the time of their annual renewal. Such individuals must fill out the appropriate forms and can no longer practice as CPAs but may use the title “CPA retired.” A CPA who has become permanently disabled may apply for permanent disability status at the time of license renewal. The licensee’s physician must provide a written statement indicating the licensee is no longer able to perform the activities required of a CPA by the MSBPA and must detail the disability.